Liverpool’s Premier League clash with Chelsea on Sunday will be Jürgen Klopp’s 200th game as manager of the club. 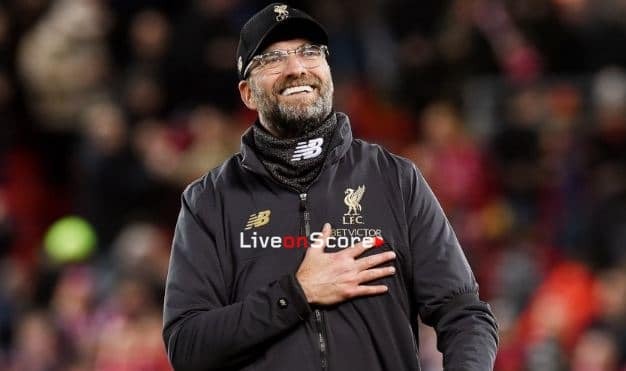 The German has secured 111 victories and 51 draws in all competitions since his appointment in October 2015 and another win at Anfield would ensure the Reds remain top of the table with just four matches left to play this season. Klopp’s side are embroiled in a closely-fought battle with Manchester City as they attempt to secure a first league title since 1990. Only two managers in LFC history have secured more victories than Klopp in their opening double century of games: Sir Kenny Dalglish won 118 and Rafael Benitez notched 115. Liverpool have won 13, drawn seven and lost six of their Premier League meetings with Chelsea at Anfield. The Reds have already scored more goals at home in the league this season (46) than they achieved in the last four complete top-flight campaigns. There has only ever been one goalless draw between Liverpool and Chelsea in all 75 league meetings at the stadium. It came in October 1971. The Reds are unbeaten at home in the last 37 top-flight games (27 wins, 10 draws) against all opposition. It is the joint-second-longest run in Premier League history – level with Manchester City. Chelsea hold the record with 86 – a run that was ended by Liverpool in 2008. The last three Anfield league meetings with the Blues have ended in draws (all 1-1), the most in succession between the teams at the stadium. Only on three occasions in the last 38 home league meetings with Chelsea have the Reds failed to score. Roberto Firmino has scored seven goals in his last six Premier League appearances at Anfield. He is two goals short of recording 50 in the league for the Reds.